A tour of Scotland makes for the ultimate road trip. Poets and artists alike have made Scotland their muse, and the country truly is a land like no other. 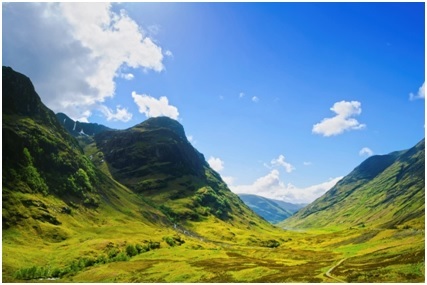 There’s much more to Scotland than the usual tourist hotspots too. Fancy discovering a different side to Scotland? Then read on as we venture a little off the beaten track, and take a look at some of the country’s most spectacular hidden gems. Tucked away in the heart of Edinburgh, near the city’s Royal Mile, these tranquil gardens are a real treat. They’re one of Edinburg’s best kept secrets and a welcome escape from the city’s bustling streets. This secret garden, dating from the 17th century, is a haven of tranquillity, and will transport you to a whole new world. Complete with neatly manicured shrubs, a bounty of fragrant flowers and an array of other plant life, it’s the perfect place to relax and recharge your batteries. So make sure to take a walk along the gardens neat gravel paths and lose yourself in the magic of it all. The stunning silver sands of Morar are largely deserted. 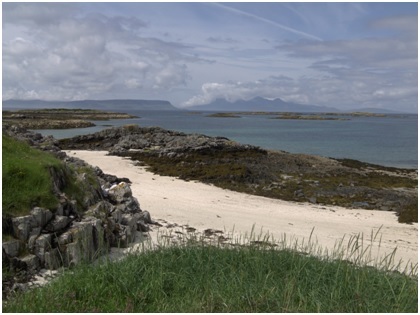 This celebrated collection of beaches – which are dotted along the coastline from Arisaid to Morar- are a remarkable sight to behold. Their remote shores are ideal for grabbing a spot of seclusion and simply escaping from it all. And from here you can enjoy spectacular views across the seascape too, towards the Hebredian islands. Take a walk on the wild side and head to the county of Sutherland. This is one of the most remote and wildly beautiful areas in all of Britain. Sutherland has been described as the last great wilderness in Britain and it’s easy to see why. Here dramatic mountain tops give way to glorious beaches and there’s no denying that nature reigns supreme. Despite its remote location, Sutherland is surprisingly easy to access and is well connected to the rest of Scotland by a number of excellent transport links. In addition to its scenic landscapes the region is also home to a number of other spectacular attractions. 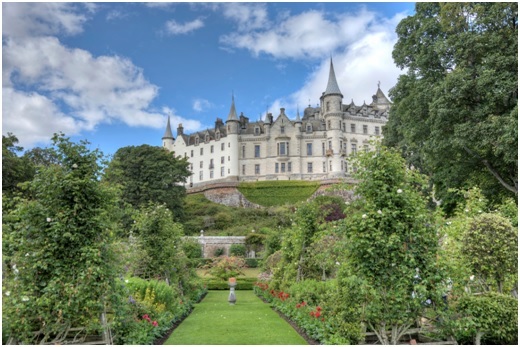 One of the most remarkable of these, by far, has got to Dunrobin Castle. Scotland is a land famed for its castles, but this one definitely stands out among the rest. Described by some as the ‘jewel in the crown of the Highlands’, this grand castle features a delightfully eccentric museum and gallery, that boasts a stuffed giraffe, of all things, amongst its collections. 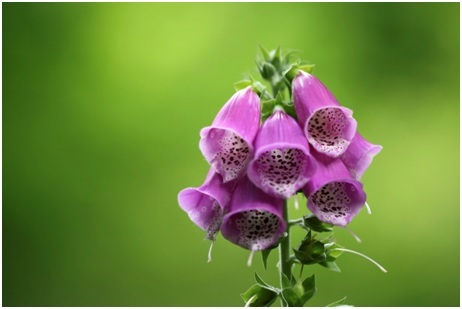 Make sure to take a wander through its gardens too. These were laid out by the acclaimed architect Sir Charles Barry, who chose the Palace of Versailles in Paris as his source of inspiration. Fancy a spot of dolphin watching? Then forget the boat trips and trying heading to Chanonry Point instead. This is one of the best places in the whole of the UK to see bottlenose dolphins. 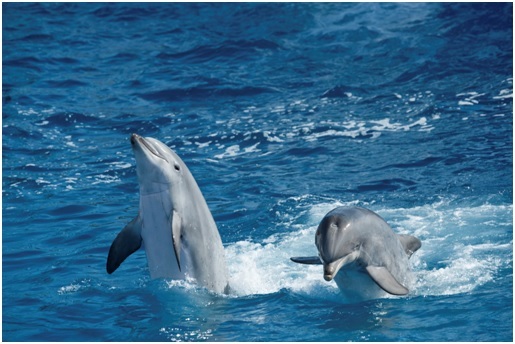 The area is home to a large number of dolphins and these can often be seen playing in the shallow waters off the point. The dolphins aren’t the only sights on offer here either, you can also enjoy a range of charming costal views, that are nothing short of breathtaking. We hope you’ve enjoyed this round up of some of Scotland’s top secret spots. If this has inspired you to discover some of these hidden gems for yourself, then here at Rennie Motor Homes we can help! We have a fantastic selection of motorhomes for hire and as far as we’re concerned, these are the best way to experience all Scotland has to offer. So If you’re looking for campervan hire in Scotland, then contact us today, by giving our friendly team call on 01224 72330.